In light of nonsensical anti-LGBT bathroom laws being passed in certain American states and under consideration in others, I wish the lawmakers agreeing to this harmful paranoia were reading the wonderful manga, “Wandering Son” by Takako Shimura. I fear it may be too late for them (they are probably the type to identify with Mr. Potter when watching the classic film “It’s a Wonderful Life”) – but maybe not. Perhaps the governor of North Carolina should get a set of this series sent to him. 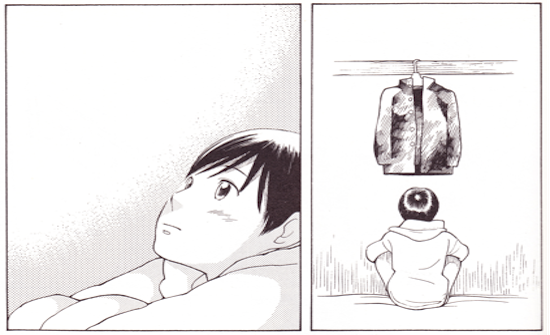 I truly believe “Wandering Son” can help people understand their confusion and concerns about sexual orientation. Even more, I think younger readers who might be struggling with understanding their own gender and sexuality can find enormous benefit through experiencing and possibly identifying with one of the characters in the series. 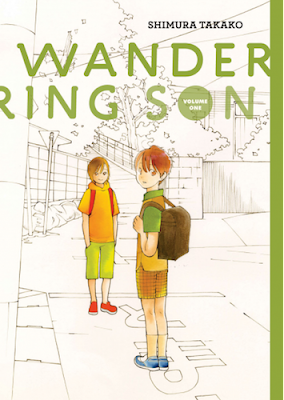 What is “Wandering Son” about? The answer is - not so much: it reads like a day to day account of children in school, who, much like all children, can often seem to be on the brink of maturity. But “Wandering Son” really deals with so much more: in a straightforward manner, and mostly charming and endearing way, it tells the story of Shu, a young boy who gets mistaken for being a girl and who is often confused about wanting to dress like a girl, and his fast friend, Takatsuki, a girl whose wish to look and dress like a boy leave her just as confused. The rest of the cast circle around the situations these two find themselves in. As children – questioning themselves about who and how and why they are – I find it difficult to believe anyone could do less than be empathetic when presented with the challenges they face. 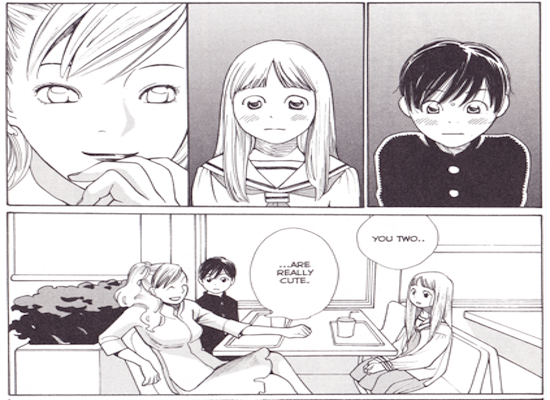 Shimura’s visual style helps readers empathize with her characters. The simple lines and big-eye style create characters we are easily drawn to. One feature we quickly notice is that her characters can be difficult to tell apart. I am not completely sure this is intentional, or if I am missing certain signals as to the identities of the characters (that perhaps Japanese manga readers would spot immediately). However, I like to think Shimura planned this, as any hesitancy in our recognition reflects the problems she is confronting in her work. Whereas we could make assumptions about these characters from our own personal bias if this was real life or filmed actors, we easily accept them in this manga for being whom they want to be. Early on, Shu is mistaken for being female by his new teacher. Names in Japanese have different forms for gender, so the dialogue in this scene has Shu indicating how to say his name as if he is a boy, whereas the teacher originally called him as if he were a girl. Such confusion is common in “Wandering Son.” The importance of the work is found less in the plot than in how the characters react: Shu blushes, followed by his teacher’s blushing as she looks closer at him. There is simple embarrassment, but it is followed by recognition. Looking and seeing are used effectively, with perspectives frequently depicting reactions of characters looking at other characters. We also often see what a character is directly looking at. When Shu and Takatsuki see each other for the first time, each one sees the other as mirroring his or her own internal self. 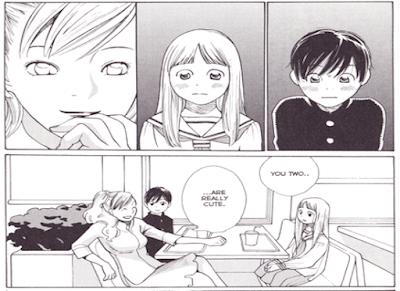 Takatsuki sees Shu, a boy who feels more like a girl, and Shu sees a girl who seems more like a boy. Their moments together are some of the best and simplest as they become comfortable sharing their confusions and joys with each other. 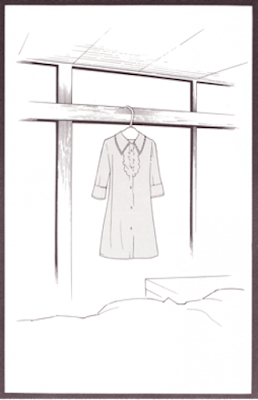 On Shu’s first visit to Takatsuki’s home, he notices a dress that hangs on her closet, commenting, “I’ve never seen you wear anything like that,” to which she replies, “That’s cause I don’t.” She suggests Shu wear it, saying “It looks good on you” and she holds it up under his chin. He accepts the gift, but then gives the dress to his sister. 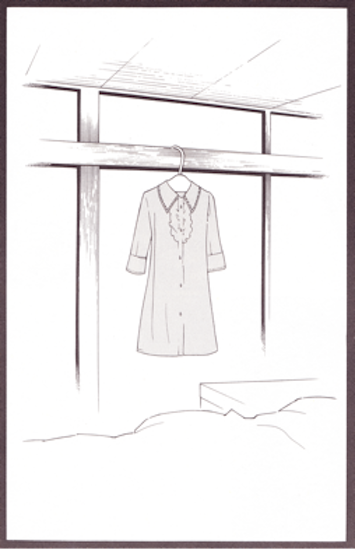 This seemingly simple gift is really intensely far-reaching, as the idea of the dress stays in Shu’s imagination because he finds it appropriate for himself. Through the longing in Shu’s face, the wide-eyed amazement and wonder directed toward such a simple and distinctly feminine object, the dress becomes an expression of Shu’s identity. As depicted, his desire for it easily seems natural. We also get to see a whole range of other people living with and around these two. Shu’s family is often featured. His parents tease about how he can pass for a girl, which he often internally takes as a compliment. However, as the series progresses, we do start to wonder whether they will remain so easy-going if they discover he does indeed like being a girl. His sister is initially upset with him for being cuter than she is. Though this leads to some bitterness, she eventually seems to accept her brother and begins to help and encourage him, if only slightly. Their friends present an even wider range of attitudes, though always in the context of normal school situations. We never get the sense that this series is trying to be anything other than a story about kids, all of whom are struggling to be who they are in the only ways they know how. So one of the main themes throughout are the typical young teen crushes and infatuations, always exploring identity recognition issues – whether straight, gay, bisexual, or transgender, and all the resulting confusion, discovery, joy, and pain that goes with it in our modern world. One of the most welcome storylines involves Yuki, an older transgendered female who becomes good friends with Shu and Takatsuki. Her comfort with herself and her boyfriend is a wonderful example, showing the young teens their lives will work no matter their choices. Even better, she is a wonderful role model for the reader as to how to not pass judgment, but to listen, be a good friend, and to encourage others to be comfortable with themselves and their sexual identity, whatever that may be. These wide-eyed young teens see the world opening up for them. But just as in real life, they are often scared to embrace themselves when others might see them as weird. The openness shown to most of the characters in “Wandering Son” is refreshing to encounter and makes their world a better place than our own. Maybe we can all learn a few things about the reality of the human condition, sexual and otherwise, from these earnest young teenagers. Takatsuki says to Shu, “you’re not someone who wants to be a girl? If you were, I would be thrilled. If you were.” The sentiment of the open-ended words, showing the longing Takatsuki has that someone like Shu might have similar hopes to her own, reflects the positivity needed in portrayals of LGBT kids both for them and the real-world adults who just can’t seem to understand. Published by Fantagraphics; available from Amazon.